The Kenya women Handball team has qualified for the All Africa Games Championships set to be held later this year in Congo Brazzaville. The Kenyan team qualified after winning all her matches at the ongoing Zone Five Championships in Ethiopia defeating Uganda and host Nation Ethiopia. 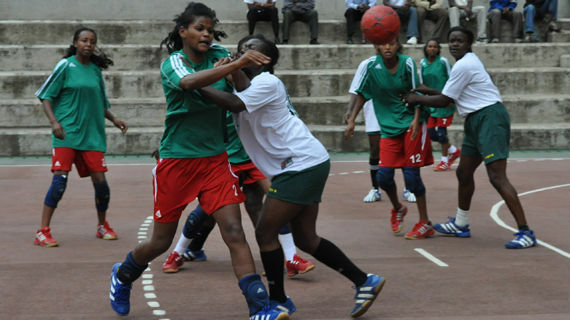 He girls beat neighbors Uganda 27-23 on Wednesday and followed it up with a 34-24 win over Ethiopia on Thursday. Only three teams took part in the women edition of the competition.